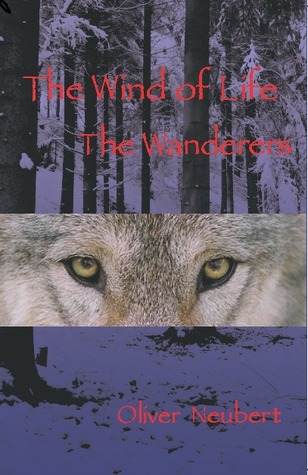 Back in January I won a copy of The Wind of Life - The Wanderers. I try not to read books out of order in a series if I can help it, so I purchased a copy of The Flyers, the first book. I was back logged and decided to take advantage of my three day weekend and read as much as possible. Let me say that I read both books in under six hours. I told my husband that I had to finish the book I was reading before I would fix his lunch. What you will find below is my review of the first two books and a synopsis of the third in the trilogy. Timo, a fourteen year old flyer, lives in the mountains with his mother. For years, the Flyers of the Mountains have been enemies of the Wanderers of the Flatlands. 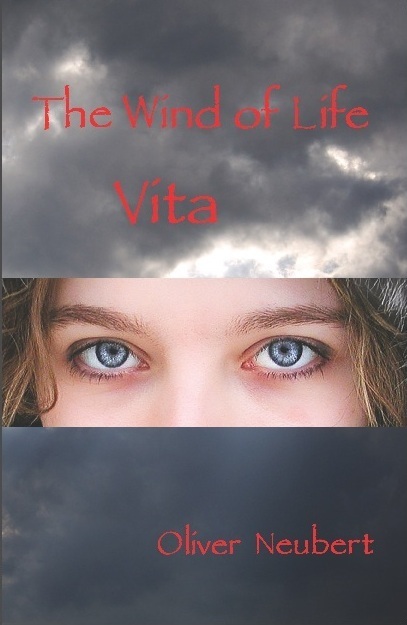 To stop the old law: "Those who are born without wings have to die," Timo is dragged into a plot where he must learn to use his special gift to bring the two misunderstood races together. 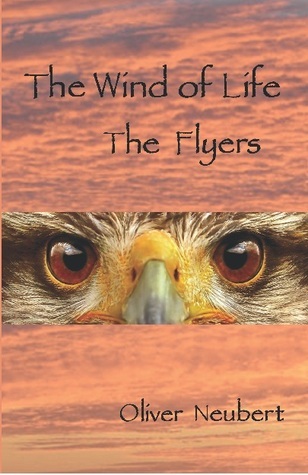 As Wardor, the leader of the War Flyers, learns about the plot, he will stop at nothing to kill everyone involved. In her search for her missing brother, Val and Timo become close friends, but will they survive the impending war or will Val's brother be lost to the old law? Rider, a fourteen year old Wanderer, has found shelter among the dead willows, the haunted place of the Flatlands. He is suffering from the abuse of his tyrant father, but his connection to nature and the elements keep him sane. He has a special fit that allows him to run with the antelope and to communicate with the animals. When he helps a young woman escape from a group of deadly hunters, he discovers that the mysterious, hated Flyers still exist. Drawn by curiosity and instinct, Rider uncovers a serious plot lead by his father to murder innocent children and to go to war against the Flyers. Rider has to stop his father and luckily he is not alone. One of his enemies is looking out for him, but will this be enough or will Rider be crushed by his father? In The Wanderers we meet Rider. He is the son of Thorn, the leader of the Wanderers. He seems to delight in abusing his son. Rider too was born with a special gift and his father was not. His father wanted to raise his son different than he was raised. He too had an abusive father. He perceives his son's gift as a weakness. Rider is able to communicate with the animals. After a public whipping, Rider runs away from home. This is all it takes for his father to decide he must be killed as a traitor. Rider helps a young girl named Net escape from those who are hunting her. She has in her possession her baby brother who was born with wings. She is looking for Mot to help her get her brother to the Rescue Flyers. Like the Flyers, the Wanderers have a law that demands the death of a child born with wings. Along the way Rider learns his father's right hand man Bear is not who he thought he was. Together they must help Rider become what he must, and unite with the brother he didn't know he had. A brother who is a Flyer. Together they must try to bring peace to their people and become One people like they had been before. This was such a great series. It is so full of lessons that are subtle enough you don't feel you are being preached at and yet the have resonated throughout history. We can look at all wars from our past and find people like Wardor and Thorn. When I look at the different characters I love them each for something different. I love the Spirit Wolf with her wisdom, as well as Mot. Both of these characters guide the others. Timo has Aldor as his mentor and Rider has Bear. Timo seems more sure of himself whereas Rider had to come out of his shell. Abuse will do that. When he accepts the things he must, he becomes stronger. Val and Net both have a love interest in the brothers that I hope to see developed in the third book. I loved the fact that Dino who thought he had no gift found out about his gift and because of the way he was encouraged, jumped whole-hearted into his role. For the first time his eyes were opened. The secret behind why these three have such gifts was explained in a great way. The theme of prejudice reminded me of Dr. Seuss's book The Sneetches which is about prejudice because of appearances. This is a wonderful book and therefore I will tell all of my students that they most definitely must read this wonderful book. They must read the third one when it comes out in May. Below I have a synopsis of the third book from Goodreads. Check it out then go purchase the first two. The Child of the Sky and the Child of the Land will find each other and they will have to make choices, choices between life and death, between love and hatred and between the past, the presence and the future. Qui Natch Ndee, The Wind of the People, will show them the way, despite the dangers of the deadly claws of the cold down draft. The Flyers and the Wanderers will only be able to survive if they understand nature and its powers; otherwise they will all vanish forever. Timo and Rider must become one heart and one body to find the Star of Vita, the ancient weapon, but their enemies are always nearby and their goal is to destroy them. I hope you enjoy this series. I am off now to review another of his series, "Chantal's Quest". I'd not heard of this series before--it sounds interesting!